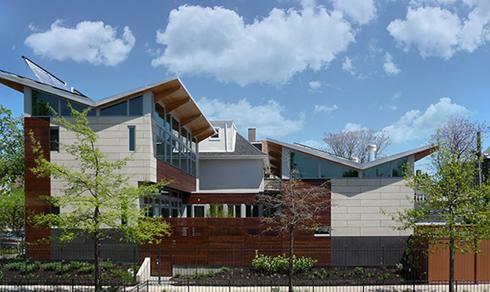 In a traditional Chicago neighborhood, Michael Yannell's new courtyard home has a distinctive butterfly-shaped roof that hides its 48 rooftop solar panels from street view. 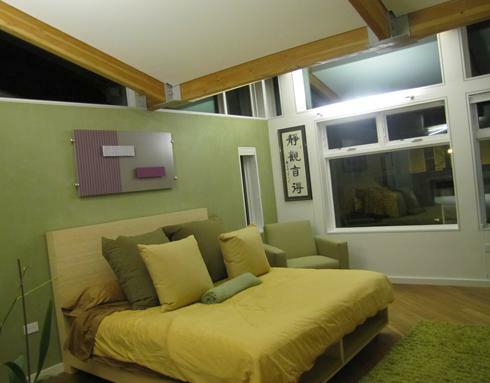 His gorgeously green abode, designed to produce more energy than it uses, has other nifty design features. It's composed of two wings connected by a foyer and entered via a courtyard. One wing has a two-story living, dining and kitchen space and the other has a den, two bathrooms and three bedrooms. I had the good fortune to tour Yannell's 2,675-square-foot home, along with a group of about 50 architects and green building experts, while attending the recent Greenbuild conference. 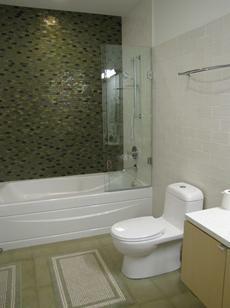 The private U.S. Green Building Council, which sponsored the conference, gave his project the top or platinum LEED (Leadership in Energy and Environmental Design) rating. The residence, completed last year and chosen as "This Week's Green House," scored a whopping 114.5 points -- far more than the 90 required for platinum. It has green elements throughout, from its materials with recycled contents --cardboard countertops, Oceanside tile, walnut flooring– to its Energy Star appliances, low-flow plumbing fixtures, green roof and solar power. 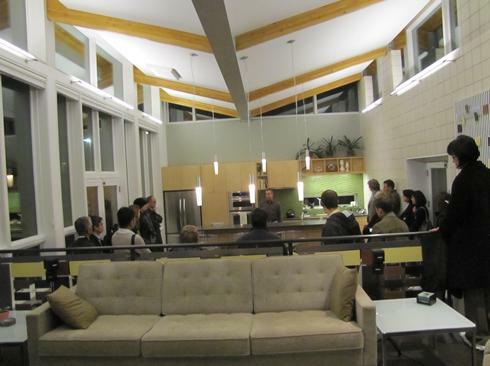 "We wanted passive solar to be a large component in heating the home," Yannell told our group, noting the walls of custom-made, triple-pane Marvin windows on the south side that capture the rays but have large overhangs to prevent overheating in the summer. The north side, which has few windows, is mostly a plenum wall of architectural concrete masonry units that hold the solar gain. 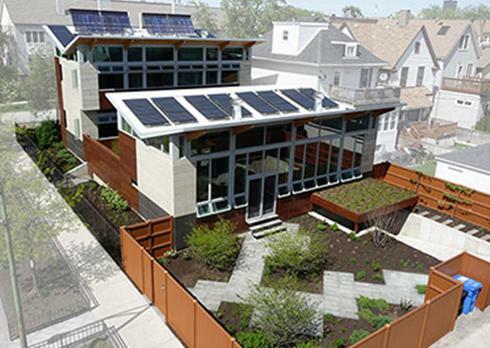 The home has a massive 10-kilowatt solar array, composed of 24 panels on each wing. "Most people don't even know they're there," said Yannell, a pharmacist at Rush University Medical Center, citing the V-shaped roof that largely obscures their view. He says they collect far more energy than the home needs in the summer, sending excess power to the grid that he draws from in the winter. Yannell has solar thermal water heating and a geothermal heating and cooling system composed of three vertical wells dug 250 feet deep. All these features and high-end finishes didn't come cheap. Not including land costs, Yannell says he spent $1.6 million ($500 to $600 per square foot) on his dream home, designed by Douglas Farr of Farr Associates and built by Goldberg General Contracting.